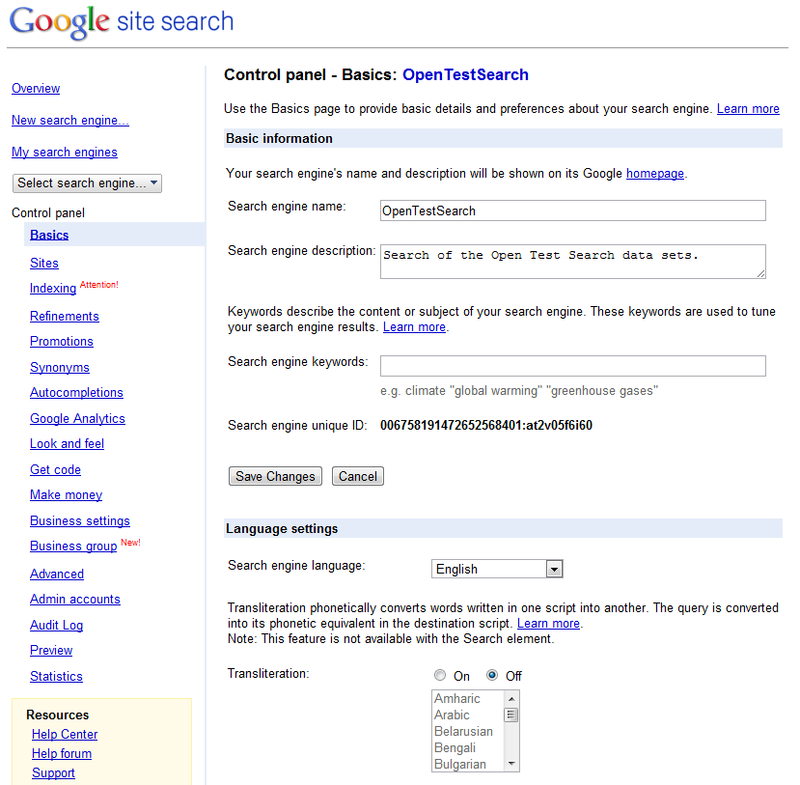 Google Site Search is Google’s cloud based search offer. It’s cheap and easy to get started with if all you need is to search web content, but compared to the other search engines we have tested it lack many of the more advanced functions. As a pure website search engine there are no way of including documents that are not stored on the web, or corporate documents you don’t want to share with the whole internet. In addition to searching you websites and documents that’s already indexed on google.com, you get a quota of documents you can ask to be included. Search results appear to be good, and the interface is super clean. Unfortunately there is no way of sorting or filter search results, so for example finding just images are impossible. 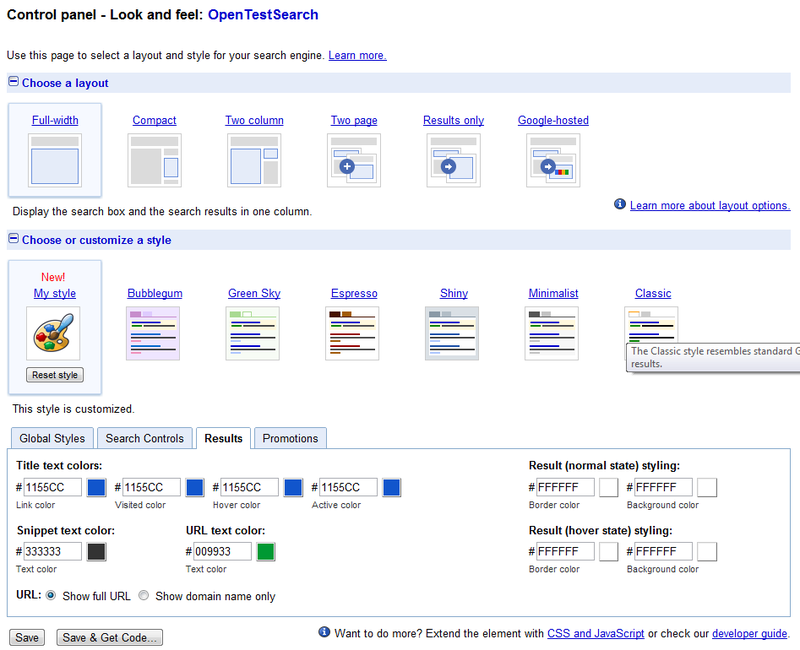 You can try a demo of Google Site Search online here. Site Search cost from $100 to $2 000+ per year depending of number of queries and on demand index quota. In addition there are separate fees for programmatic access to the api. We had previously blocked web search engines from indexing the datasets here at Open Test Search, so the first order of business was to enable indexing and submit a sitemap to Google. After a small grace period Google was quick to index documents, with an average of 3500 new documents being added a day. At the Site Search control panel it sees that the approximate number of indexed pages is 73 900, but at Google Webmaster tools the number is 31 252. The total number of documents in the test sets are 48 811. 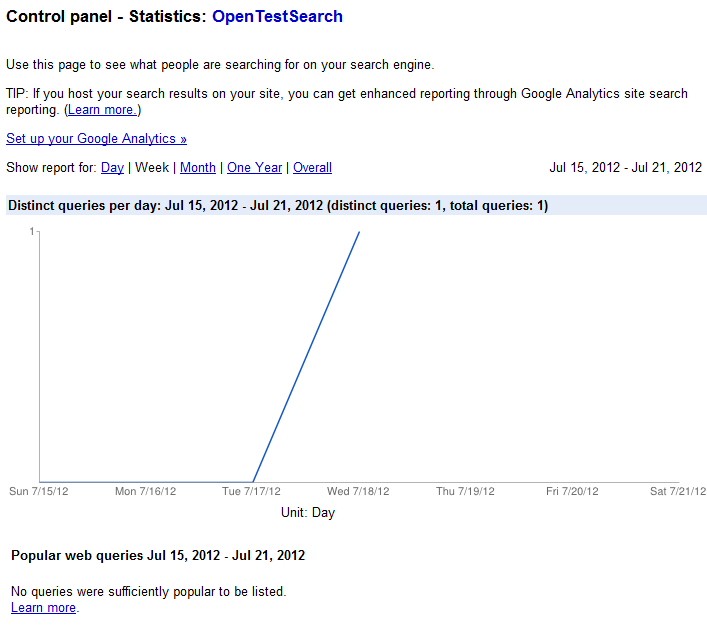 Screenshot from Google Webmaster Tools. A familiar Google result page. Unfortunately there are no way of sorting or filter the results. 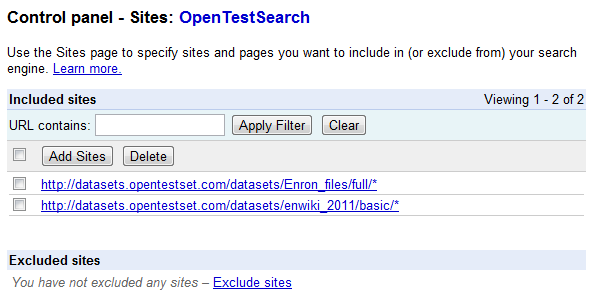 Notice how an image from the document in result nr 2 has made it into the result page as a thumbnail, nice! Hits has a title at the top, metadata, two lines of hillited text extract and then the url at the bottom. The generation of titles are very good. There is a web based administration interface. Setting up what to crawl. 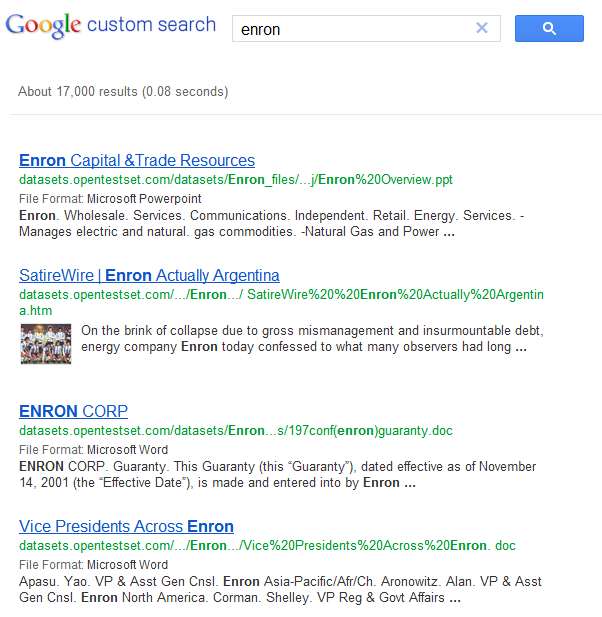 Customizing the search result page. There is no much of statistics out of the box, but you can easily integrate with Google Analytics site search.